Hello, friends! So, I'm sure you've been to the stores and seen the Valentine's Day decor and cards lining the shelves. In fact, I think it started the day after Christmas, right? So crazy! Well, I'll be honest, I'm not a big fan of Valentine's Day. Please note, I'm a "to each his own" type chick, so no judgement here from people who choose the traditional celebratory methods. You go on with your awesome self. BUT, I personally prefer a different type of celebration, which I'd like to share. For me, the whole concept of taking a day to celebrate your special person doesn't make sense. Shouldn't you do that every day? Every day, Deek goes out of his way to make me feel special, and I do my best to do the same for him. On any given day, he'll tell me how beautiful I am, bring me a cup of tea "just because," leave me a little love note, bring me my breakfast, and a million other things. And I do the same for him--surprise him at work with a treat, send him texts with love memes, leave notes on his car (back when we had two cars--LOL), tell him how handsome he is and how much I appreciate what he does for our family, greet him at the door when he comes home from work with a big hug and kiss. We don't wait for a special day to do those things. It's about living and loving out loud every single day. And every night, we lie in bed, face-to-face, and talk about everything and nothing. 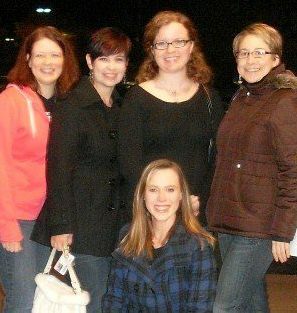 We share our random thoughts, talk about our day, discuss our books, discuss the origins of the word "fork," and a myriad of other entertaining things. But we make the time to connect every day. In the hustle and bustle of life, it's easy to let your significant other get lost in the shuffle, but try not to. This is the person you've committed your life and heart to. Make sure that person knows he/she is a priority above all else. I love our face-to-face time! In our house, Valentine's Day will be pretty much like any other day. Deek and I will be together, loving one another and expressing our love. I'll admit we may splurge on a pizza and a Reese's Cup and watch a romantic movie because it's fun, but the core of our encounters will remain the same. I don't see the point in the traditional gifts. Jewelry can only be worn sparingly (I mean, how many occasions does one have that call for diamond earrings?). Stuffed animals fill the house and collect dust. Copious amounts of sweets derails healthy eating habits. Expensive meals are a drain on the budget and a "one and done" thing. And flower, OMG...flowers. They DIE. I can't help but think of a line in Romeo and Juliet when people receive flowers: "O', swear not by the moon, the inconstant moon that monthly changes in her circled orb. Lest that thy love proves likewise variable." Juliet is begging Romeo not to swear his love by the moon because the moon changes, and she doesn't want a changing, or variable, love. Flowers die...what does that say about love? Eep! 1) Acts of Service-- This person feels loved the most when someone does something for them. 2) Words of Affirmation--This person feels love the most when you say good things/nice things to them and build them up. 3) Quality Time--This person feels love the most when you spent one-on-one time with them, no other distractions. I'll give you some examples. My best friend's love language is gifts. So, I make sure to give her meaningful things (like a framed pic of us, a book about landscape photography, a free hair dye at the stylist, etc) that show her I know her and what she'd like. My father is a physical touch person. So, I also make sure to hug him often. I have a special person in my life who likes acts of service, so I leave notes and offer to do things for her. Another special person in my life is words of affirmation, so I'm cognizant of that and use my words to build her up and tell her she's amazing (and it's true because she is!). Luckily, my husband and I are both quality time, so we make an effort to spend as much time as possible together. We don't always have to be engrossed in deep conversation, but we want to be together. Quality Time with my most wonderful hubs! Not everyone is as lucky as we are to have a spouse with the same love language. Often times, significant others have differing love languages, and that makes it difficult to meet the needs of the other person. But, one easy way to tell what your person's love language is: watch them. Whatever they're trying to show you is mostly likely their own love language, and they're hoping you'll do it back to them. So, if your lady is always cleaning up for you or making you special meals, she's probably an acts of service person. Try doing that for her instead. Or if your fella is always complimenting you and talking about how awesome you are, he's probably a words of affirmation person. Try doing that for him instead. We're all friends, but we all have different love languages and different specific needs. 1) Acts of Service-- Pick a chore or activity you know your person doesn't like to do, and do it for him/her. Cook their favorite meal for dinner. Call your person and tell them you'll take care of a particular errand they've been meaning to run. 2) Word of Affirmation--Leave a love note on the bathroom mirror or by the coffee pot. Write up a list of all the things you love about your significant other. Tell your person thank you for the things they do for you or your family that you really appreciate. 3) Quality Time--Turn off all electronic devices and just sit and talk to your person. Go for a walk or to get coffee. Lie in bed, face-to-face, and chat. 4) Gifts--Make this person something that will be meaningful. Or, if you must go out and spend money on something, make it personalized. Think back to a time when your person said, "Hey, that's a beautiful quilt," and go get that instead of the stock flowers, jewelry, and candy. Let that person know this gift is only for them and couldn't be for anyone else. Let's say you bought flowers and candy for every girlfriend of boyfriend you ever had, what makes this person special? The people are interchangeable because the gifts are the same. Make sure this person knows he/she is not interchangeable. 5) Physical Touch--Spend time wrapped up in each other's arms. Sit close together, holding hands while you watch a movie together. Give the person a massage. And I encourage you to do these things for your partner long after the Valentine's Day decor fades from the stores. Do it while the Easter stuff is out, the July 4th flags fly, the Halloween pumpkins decorate the porches, the turkeys of Thanksgivings roast, and the tinsel of Christmas drapes on evergreens. Every day. Show your person how much you love them every day. I'm blessed beyond measure to be Deek's wife. He knows my love language is quality time, and he gives me that in spades. 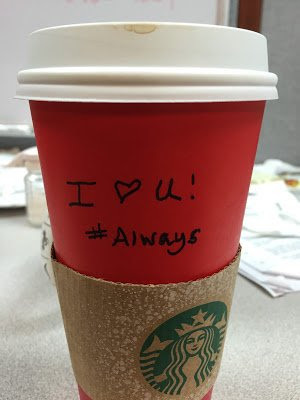 But he always takes little snippets of the other love languages and showers me with those too: brings me tea (acts of services), massages my sore shoulder (physical touch), tells me I'm beautiful (words of affirmation), surprises me with a cup of coffee from Starbucks (gifts). 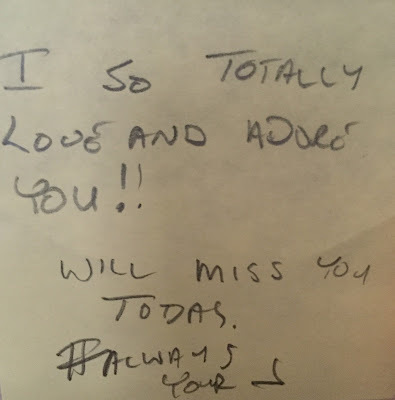 When we were dating, I kept asking him if this wonderful relationship we shared would fade in marriage, and he told me he'd work to make sure it never did. He promised to always date me and always put the effort into keeping us close. And he has. Your person is your person for a reason. Take a long look at them and remember why you fell in love. Remember how it felt to be close. And make it happen again. Put in the time and the effort to keep your relationship strong. Friends, parents, children, and family will come and go, but this person is your person for life. My love, I can't even begin to fully describe to you how happy you make me. Every single day you shower me with you love and affection, making me afraid to pinch myself for this all may be a dream. 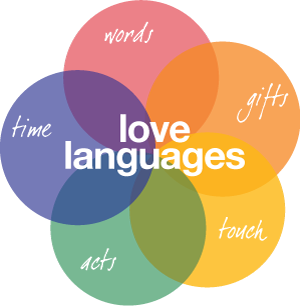 Until I'd met you I'd never heard of the five love languages, but knowing them really helps show others that you care. You are my exact match. I love love love spending time with you. That is my favorite thing eva. I love going into "the bubble" and hours magically slip by. But it's more than just the time we spend, it's also the things we do for each other. You make so much effort doing things for me. As I write this you are literally working in Amazon to get Birth uploaded to print books. You've spent hours and hours working on this for me and I can't tell you how much it means to me you'd work so hard. And you do this all the time. I love the way we talk to each other, the little gifts we give each other. I love our two way street. Everything. So, after all my ramblings, I guess what I'm trying to say is thank you for making every day Valentine's Day! I love you with all my heart, Erin.